Excellent night playing for Lucy’s Bat Mitzvah at Whitefield Golf Club! We hired Andy for my daughter’s Batmitzvah party on Monday, following recommendation by a friend. He was absolutely brilliant. So professional from start to finish, in planning the event, including music from a very long playlist, and liaising with me throughout the evening keeping the running order on track to the minute! The sparkly dance floor and up-lighters he supplied were perfect, the dance floor was full all night and everyone had a wonderful time! Thank you Andy, and I would certainly recommend you! 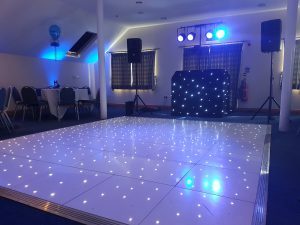 We also supplied our fab white LED dance floor along with a set of up lights for around the room which looked amazing! As well as the traditional Israeli set, I also included several Israeli pop songs in the main disco which proved to be very popular! Of course, I also act as host throughout. 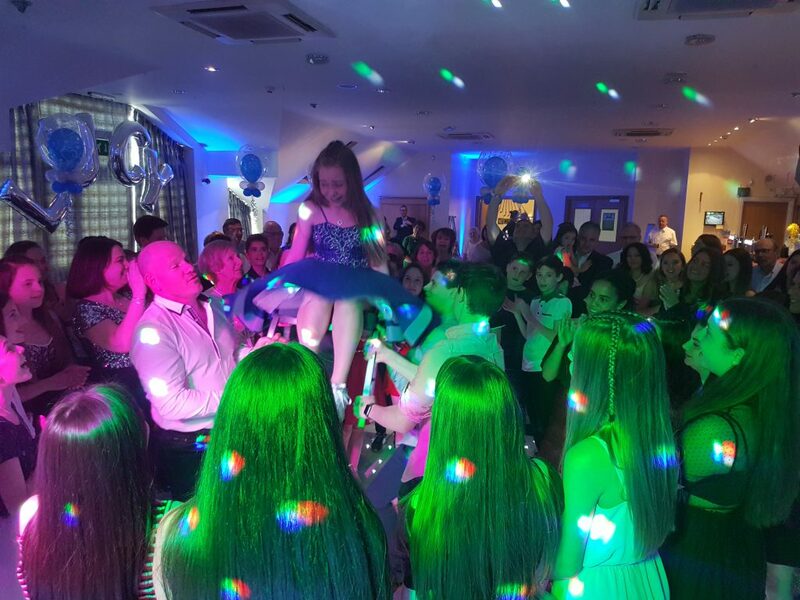 So, if you’re planning a Bar or Bat Mitzvah & need an experienced DJ/host for the event, email your enquiry to andy@andybevents.co.uk Don’t forget to include date, venue details, approx. timings, size of party & if it’s a family event or just for the youngsters.